Fiscal Transparency Portals Workshop. Dialogue for a Friendly and Meaningful Outcome. 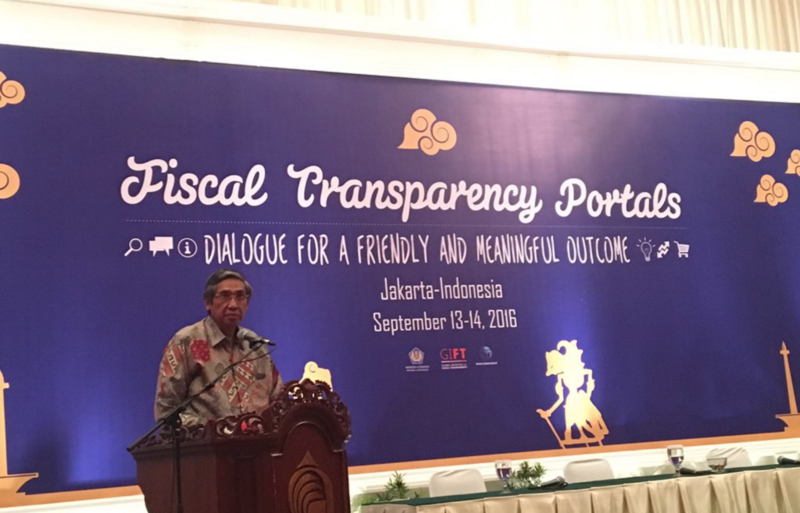 A two-day workshop on Fiscal Transparency Portals, looking at the models of Brazil and Mexico, took place in Jakarta. It was organized by Seknas Fitra, the Ministry of Finance of the Republic of Indonesia and GIFT, with the support of the Ford Foundation-Indonesia and the OGP Support Unit. 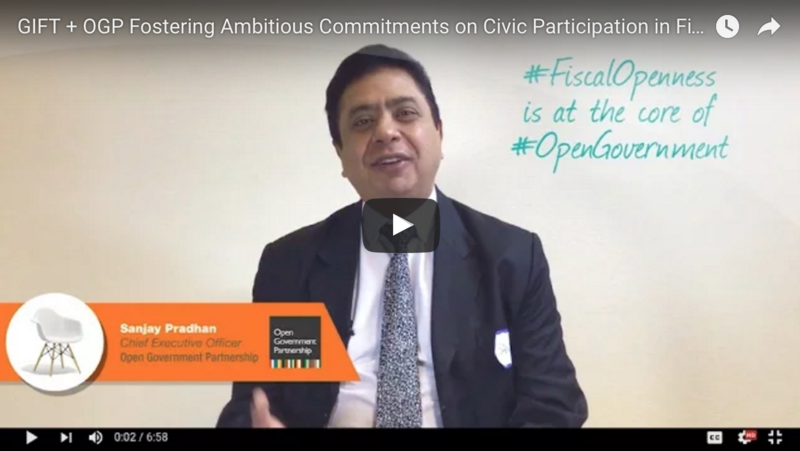 It was aimed at representatives from five countries (Canada, Indonesia, Paraguay, South Africa and Vietnam) related to the implementation of fiscal transparency policies as well as those related to information technologies and open data, along with civil society experts in these matters from six countries (Benin, Brazil, Canada, Indonesia, Mexico, South Africa, and Vietnam) all of whom can use and replicate the workshop exchanges, lessons and experiences in their countries. The workshop in Jakarta was quite successful in reaching its goal of familiarizing staff of the ministries of finance with the implementation strategy, contents and operation of successful Fiscal Transparency Portals, learning from the experience of Brazil and Mexico. It was fortunate and highly productive to have two very high level and engaged representatives from the Mexico and Brazil ministries in charge of the transparency portals. This allowed for a better understanding of good practices of fiscal transparency and innovative tools at the international level. The workshop included a presentation by Open North on their Citizen’s Budget Simulator, a tool used by over 50 cities that helps to build better community relations, educate residents and solicit their feedback on budget issues. An important moment for the workshop was the work around the Open Fiscal Data Packager, with the participation of Open Knowledge International (OKI) that shared the easy steps to use the open spending tool that the Mexico’s Ministry of Finance has adopted to disclose the 2017 federal budget, which was officially launched in early September in Mexico. OKI and the Mexico team showed how they used the tool and shared tech information of their website’s backend, to help countries generate extra budget visualizations on their fiscal transparency portals. By the end of the workshop, five countries committed to explore ways to use the tool for budget information disclosure in open sources after discovering the ease of piloting the Open Fiscal Data Packager. Throughout the two days and a half of workshop, representatives of the ministries of finance from Brazil, Indonesia, Mexico, Paraguay, Uruguay and Vietnam engaged in break out groups discussions about fiscal transparency improvements through intensive use of information technologies. GIFT was able to clearly fulfill its objectives of promoting peer-to-peer learning and strengthening collaboration among the members of the GIFT action network. The Indonesian Ministry of Finance, at the highest level (Vice Ministry of Finance) was an engaged, generous and efficient host of the meeting. 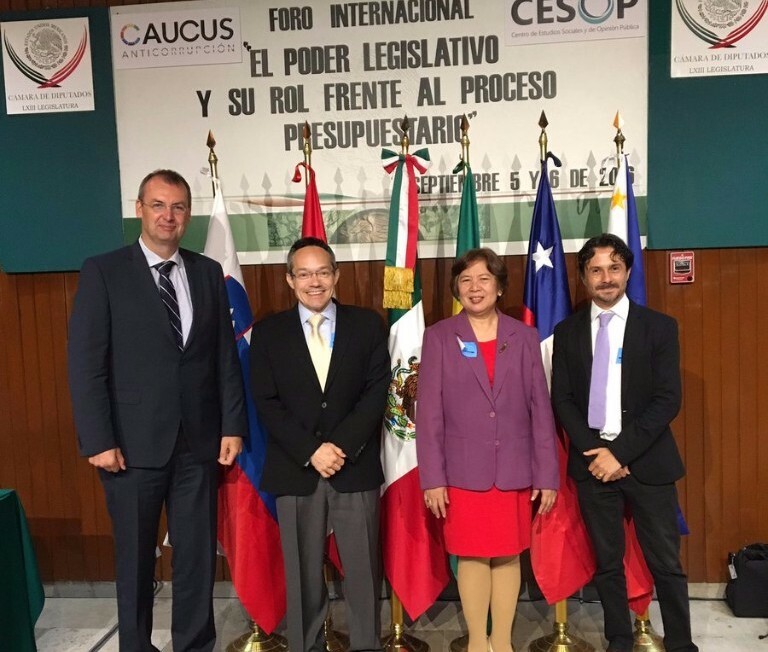 In collaboration with the Chamber of Deputies of Mexico, the Collective for a Sustainable Budget (Colectivo por un Presupuesto Sostenible-Colectivo PE$O), that groups experts budget organizations like Gesoc and Fundar, convened an international seminar to present and discuss two bill proposals aimed to address the need to improve the technical capacities of the Legislature in fiscal matters to receive and handle technically sound information that is non-partisan to engage in the decision-making process; as well as the need to regulate and make transparent public participation in the budgetary cycle process before the Legislature. GIFT participated in the seminar through the participation of three international experts to share the successful experiences of public participation in fiscal policies in their countries. Jorg Petrovic, Vice-President of the Court of Audit of the Republic of Slovenia, presented their experience in promoting a responsible dialogue in controlling spending and debt. Anabelle M. Atillo, from the Department of Budget of the Republic of the Philippines, discussed their experience in engaging the public in the execution of budgets, through the Budget Partnership Agreements (between an agency and a CSO) and Bottom Up Budgeting practices. Finally, Daniel Avelino, Senior Researcher of the Institute for Applied Economic Research of Brazil discussed this country’s longstanding experience of involving citizens in the budget execution and use of public services, through participatory budgeting and the Public Policies Councils. Strengthening the Role of the Legislature in the Budget Process. First Regional Workshop. In the framework of the collaborative work between OGP’s-Fiscal Openness Working Group and the Open Parliament Working Group, GIFT participated in the Strengthening the Role of the Legislature First Regional Workshop, organized by the Chilean Congress Transparency Bi-Chamber Group and the World Bank. 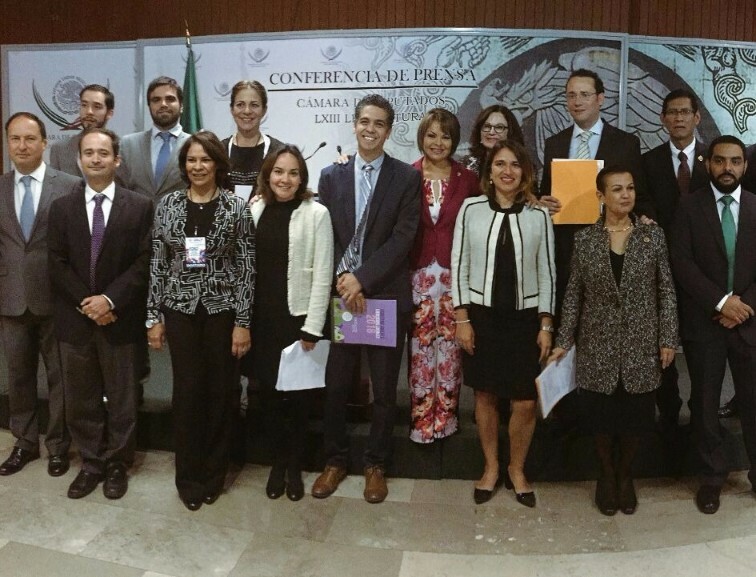 The workshop was attended by parliamentarians from Argentina, Chile, Costa Rica, Colombia Peru and Paraguay, and sought to introduce the principles, practices, tools and international trends of transparency, accountability and public participation in fiscal policies. GIFT presentation revolved around the Principles of Public Participation in Fiscal Policies and the experiences it has documented, in particular those that take place in the Legislature. Moreover, the results of the Open Budget Survey for each of these countries were reviewed and discussed. A conversation about the capacities that have to be built in order to strengthen the role of the Legislature in the budget process, during its formulation, approval, oversight and audit and evaluation. Parliamentarians discussed not only the need to have independent and professional budget offices and to be trained in the use of technological tools, but also to implement effective public participation mechanisms, including the participation of experts and academia, for which getting familiarized with good practices would be useful. 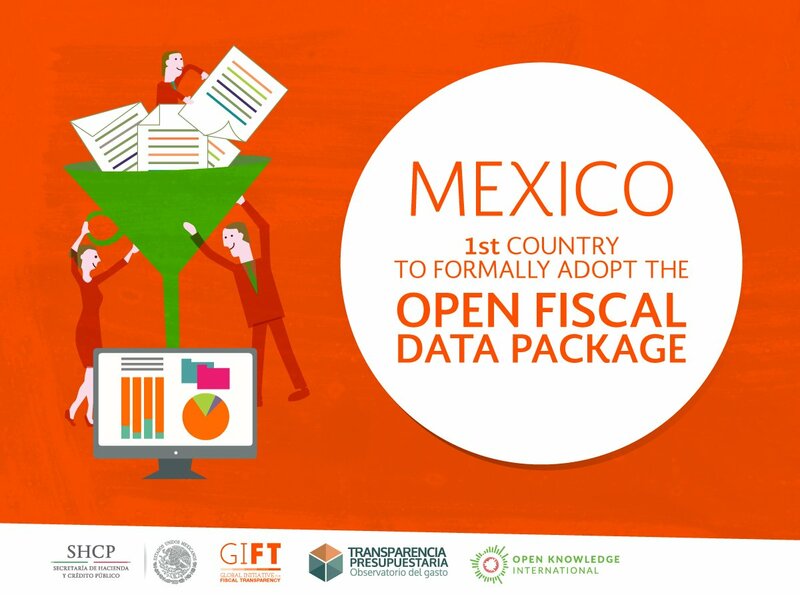 Mexico became the first country to formally adopt the Open Fiscal Data Package, an international open data standard promoted by the Global Initiative for Fiscal Transparency (GIFT), in collaboration with Open Knowledge International and the World Bank, with the support of Omidyar Network. The data package, embedded on Ministry of Finance’s web page, enables users to analyze the 2008-2016 budget, to create visualizations on all or selected spending sectors and share their personalized visualizations. All data is available for download in open format, while the API allows users to create their own apps based on this data. In the next few months, GIFT in collaboration with Open Knowledge International team will pilot the OFDP specification in a number of other countries. The specification and the OpenSpending tools are free and available to use to any interested stakeholder. Network of Results based Management in Subnational Governments in Latin America and the Caribbean International Seminar. 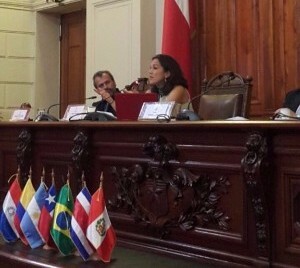 GIFT’s Research and Learning Manager, Tania Sánchez, participated in the Open Government, Citizen Participation Results based Management panel to discuss advances and challenges in processes of co-creation that aim to build more transparent, participatory and fair societies, through the experiences of diverse international under the global model of Open Government. GIFT presented the Principles of Public Participation in Fiscal Policy and discussed GIFT’s research on the impacts of fiscal policy. GIFT held a workshop with Jean Noé Landry, Executive Director of Open North. 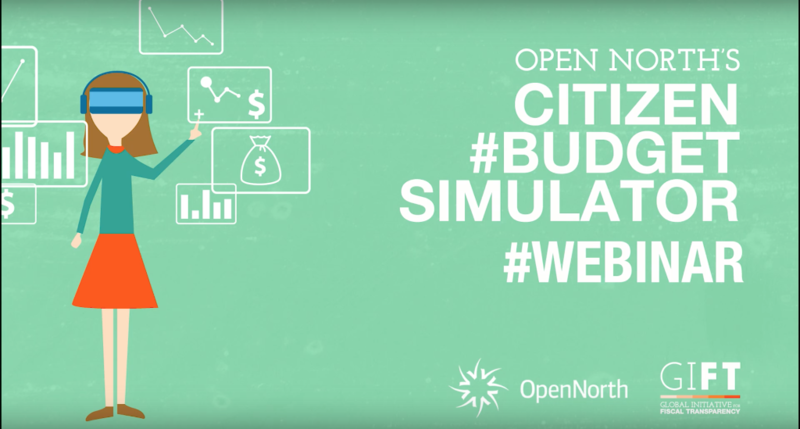 Jean Noé showed how their open-source "Citizen Budget" simulator is helping over 65 public administrations coast-to-coast in North America to significantly improve their budget consultations. Citizen Budget is a customizable simulator that effectively educates residents about budget trade-offs and limits to government spending through a fun and easy, online exercise, and at a fraction of the cost of public meetings. This tools allows governments to get qualitative and quantitative feedback from residents on their budget priorities. Moreover, Jean-Noé will be showcased and discussed the technical functionalities and democratic benefits of Open North's 3 Citizen Budget modules (e.g. Tax, Balance Budget, Capital Project) and also discussed about scaling opportunities and challenges. See some examples here: Guelph , Regina , Grande Prairie. 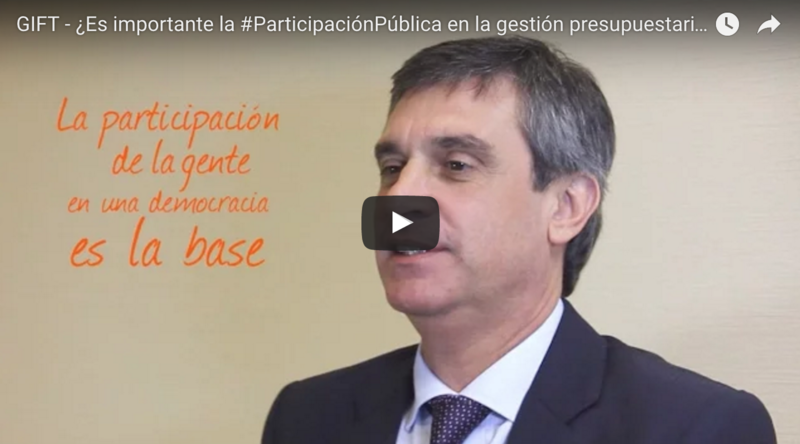 ¿Es importante la participación pública en la gestión presupuestaria? Álvaro García - Director de la Oficina de Planeamiento y Presupuesto, Presidencia, Uruguay. On September 14, in the framework of Fiscal Transparency Portals Workshop. 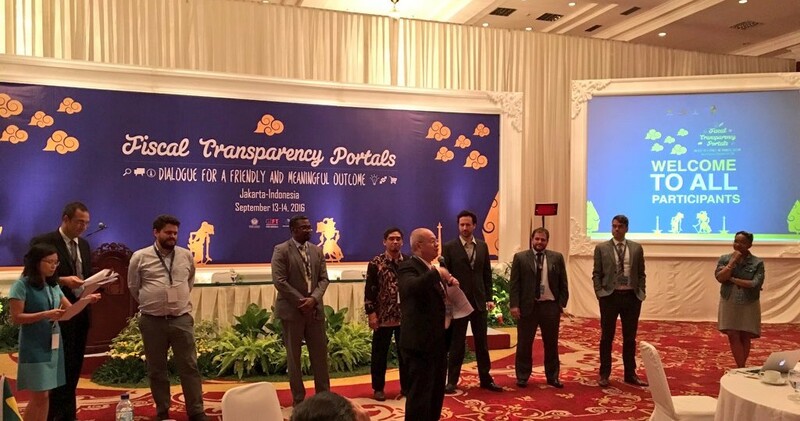 Dialogue for a Friendly and Meaningful Outcome, organized by Seknas Fitra, the Ministry of Finance of the Republic of Indonesia and GIFT, Mardiasmo, Vice Minister of Finance, carried out the official soft launching of the Fiscal Transparency Portal of the Indonesian Government. The portal represents an effort to enhance the fiscal transparency and citizen engagement in the country, by making more information available online, helping citizens hold its officials accountable for how they spend the taxpayer money. Mardiasmo extended his appreciation to GIFT, as relevant support in the process of building the portal.